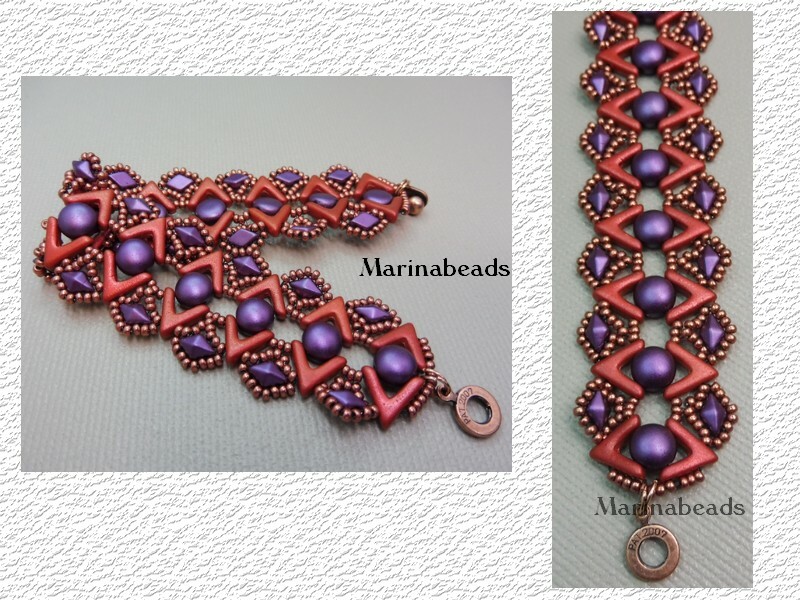 Tutorial to make Bracelet.Step by step beading instructions with pictures. This document includes the cover and 7color pages. You need Ava beads,Diamonduo beads , Candy beads and seed beads to make this bracelet.